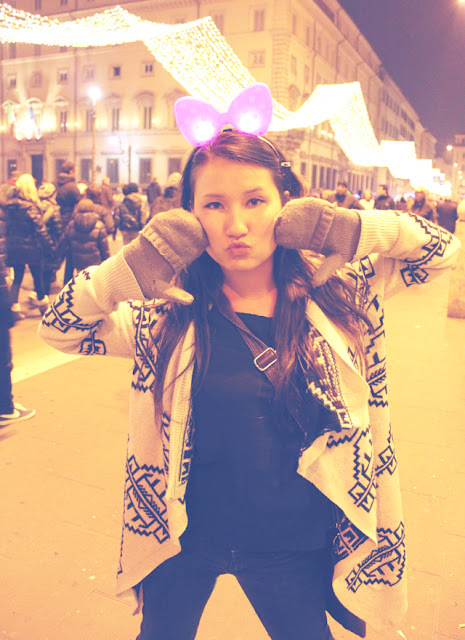 MISH LOVIN' LIFE: So how crazy did your New Year's get? 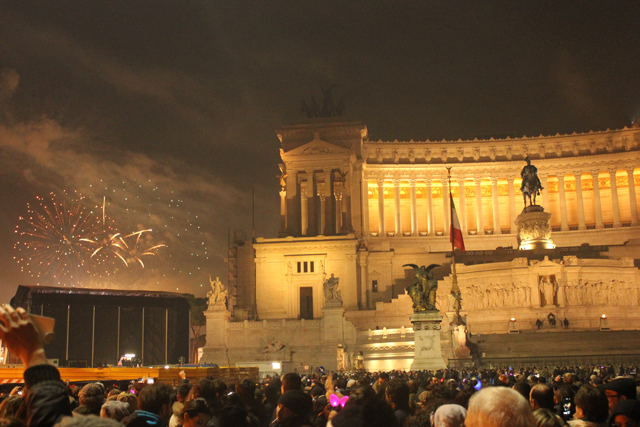 This was my view when Rome officially entered 2013. We were packed in there like little sardines. and some very strange people were embarrassing themselves by wearing light-up Minnie ears. There are some major dorks in Rome, I tell ya. I hope you all had great nights! then I think it's safe to assume you had one of the best New Year's Eve's of your life. Annndd it's probably a good indication that 2013 is off to a very good start. I am nursing a bit of a hangover today - 5 course meal, each course paired with wine plus several cocktails beforehand. My body is not used to such things anymore ;) We ordered room service, went for a leisurely walk and now having a cup of tea on the deck before our massage. Pretty great way to ring in 2013! What an amazing view for new year you lucky lady!! I love your ears!! What a great view too! SO COOL! I'm dying to get back to Rome again soon. What a gorgeous place to spend New Year's Eve. Wow what a great way to ring in the new year!! :) Jealous! oooh fancy view! and love the ears!! I had the best New Years yet, but I am spewing jealousy just looking at these pictures!! AMAZING.